"Jesus, with the power of the Spirit in him, returned to Galilee; and his reputation spread throughout the countryside. He taught in their synagogues and everyone praised him. He then rolled up the scroll, gave it back to the assistant and sat down. And all eyes in the synagogue were fixed on him. Then he began to speak to them, ‘This text is being fulfilled today even as you listen.’ And he won the approval of all, and they were astonished by the gracious words that came from his lips." – Luke 4:14-22, which is today's Gospel for the Thursday after Epiphany. 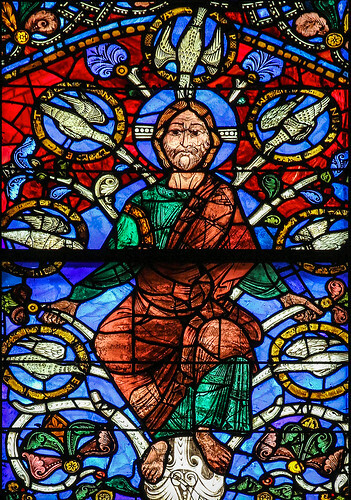 Stained glass window from Chartres Cathedral, c.1145.